Zero-G already have a couple of ‘Ethera’ titles in their catalogue (for example, Ethera 2.0 Cinematic Vocal Instrument that Tom Flint reviewed back in the April 2017 issue). 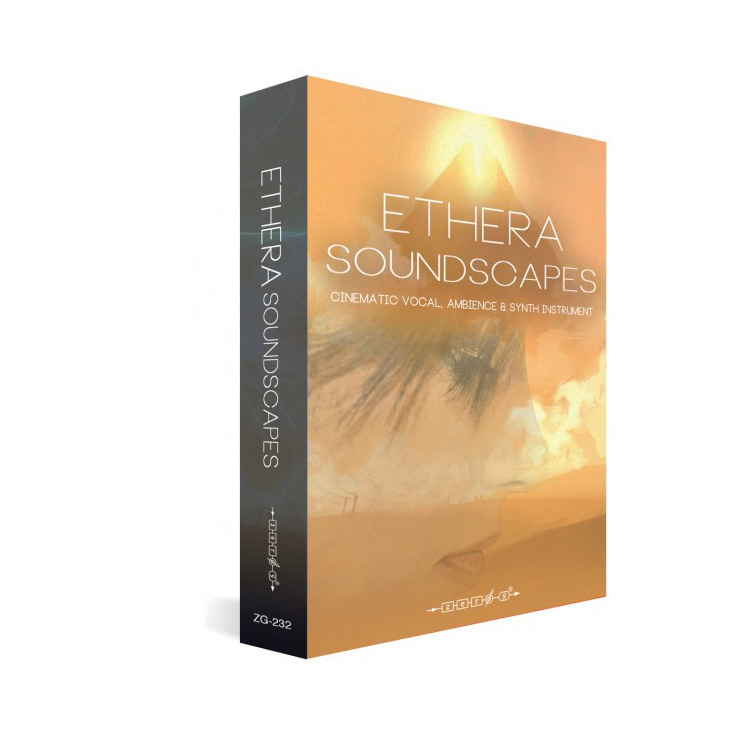 The latest addition to this line is Ethera Soundscapes. This includes 14GB of sample content spread across three different elements: a vocal library with both male and female vocal samples (including samples from vocalist Clara Sorace), a range of atmospheric ambience elements and a wavetable-based synth-engine. The latter two elements are obviously intended to be used as sound beds underneath the vocal portion of the library. A full version of Kontakt 5.6.0 or later is required. Given the relatively modest price, it’s perhaps not so surprising that the three front-ends are not as super-slick as some Kontakt instruments. Unlike some more expensive libraries, you don’t get a dedicated browser within the front-end itself; in addition, all the presets are configured as separate .NKI files. However, the controls are easy to use, there are useful effects, modulation and arpeggiator options, and a PDF manual provides a solid guide for those that need it. What the library might lack in terms of UI polish, it does make up for in terms of sound. The vocal presets are pretty impressive. There are female and male instruments with a nice combination of phonemes, ‘aah’ vowel and phrases for the former and phrases and ‘aahs’ for the latter. These are all very usable and, well... very ethereal. Particularly impressive are the legato melodies you can create from the phonemes and aah presets. These can be very natural sounding if played with a little care. The fairly lengthy set of ambience presets include some sounds obviously derived from vocals themselves. However, there are also ‘environmental’ sounds sources used such as wind, ocean, rain, war and locations such as stadiums and subways. These are not just sound effects though; there are some very atmospheric, playable instruments here. An arpeggiated subway anyone? It might sound like a strange concept, and it is a gentle, but slightly strange sound, but it most certainly works. While the third element — the wavetable synth engine — will not replace your top-end synth plug-ins, the sounds are really rather good and there are enough editing options to keep things interesting. Particularly impressive are some of the Kontakt multis in this section; these really can create some fabulously atmospheric, vocal-esque, soundscapes all on their own. Layer with a nice legato vocal and your next ‘mystical landscape’ cue will almost write itself. 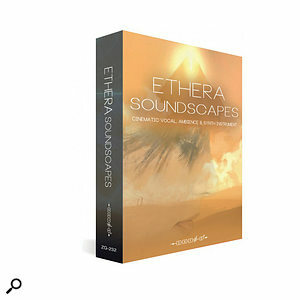 Ethera Soundscapes might not be the slickest of Kontakt libraries and it is, of course, a niche interest sound source that would most obviously appeal to the media composer. However, if you are prepared to dig in and get your sound-design hands dirty, it does pretty much what it says on the tin and represents good value for money.